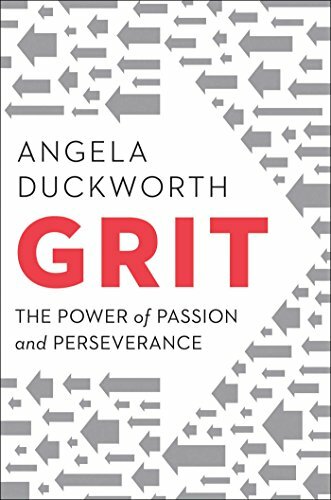 In her quick, multi-month New York Occasions bestseller, Angela Duckworth reveals anyone striving to succeed that the solution to excellent accomplishment is not talent, but a unique mix of passion and persistence she phone calls “grit.” “Inspiration for non-geniuses everywhere” (Men and women). The daughter of a scientist who routinely famous her deficiency of “genius,” Angela Duckworth is now a celebrated researcher and professor. It was her early eye-opening stints in educating, business consulting, and neuroscience that led to her hypothesis about what genuinely drives good results: not genius, but a unique mixture of passion and very long-term perseverance. In Grit, she takes us into the field to take a look at cadets battling by means of their very first days at West Place, instructors operating in some of the hardest universities, and young finalists in the National Spelling Bee. She also mines intriguing insights from background and exhibits what can be gleaned from modern day experiments in peak functionality. At last, she shares what she’s learned from interviewing dozens of substantial achievers—from JP Morgan CEO Jamie Dimon to New Yorker cartoon editor Bob Mankoff to Seattle Seahawks Coach Pete Carroll. “Duckworth’s thoughts about the cultivation of tenacity have clearly transformed some life for the better” (The New York Instances Book Review). Among Grit’s most valuable insights: any effort you make finally counts twice toward your goal grit can be discovered, irrespective of IQ or circumstances when it will come to baby-rearing, neither a heat embrace nor substantial criteria will work by themselves how to set off lifelong desire the magic of the Difficult Matter Rule and so considerably much more. Winningly particular, insightful, and even life-changing, Grit is a e-book about what goes by your head when you fall down, and how that—not talent or luck—makes all the distinction. This is “a intriguing tour of the psychological research on success” (The Wall Street Journal).